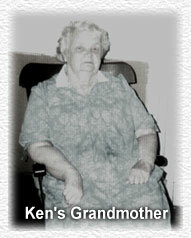 Years ago, while Ken Cagle was studying to be an electrician, his grandmother suffered a terrible break-in. The thieves took over $5000 in valuables. Angered by this assault, Ken put his recently-acquired electrical skills to good use: with little more than a couple of relays, a capacitor, a key switch, and a siren, Ken built his grandmother a security system by hand. That design eventually led him to a position with the largest independently-owned alarm company in the Carolinas, Southeastern Alarm Systems. Ken started at the bottom: rookie installer crawling under houses (and fighting off camel crickets), under the tough tutelage of installation manager Pete Konduros. Pete was a veteran with decades of experience in both the electrical and security trades, and set high standards for his crews, but Ken stuck with it. In a few short months, Ken was promoted to sales where he was consistently the top salesperson, constantly turning in record performances. When the company decided to expand a few years later, the owners knew the natural choice to head their North Carolina operation was Ken. He was promoted to general manager of the new Greensboro, North Carolina office and given a partnership in the company. The Greensboro office quickly thrived, installing over 1,000 systems in a few short years. Just as Ken was about to put that operation into high gear, the owners suddenly sold Southeastern Alarm Systems. After 31 years, the company founder was retiring, and Southeastern (perhaps the best operation in the industry) was gobbled up by a corporate giant. This faceless corporation knew little and cared less for the thousands of people for whom Ken had sold and installed alarms. Although he was offered a corporate job, Ken wanted to continue providing the same quality customer service as Southeastern Alarm Systems had for over 30 years. There was only one solution: Ken had to open his own company. That's how Carolina Security & Wiring, LLC was born. Since then, Ken has been continually blessed in this undertaking, not least of all through his wife, Vanessa. Although she was a highly successful real estate agent, the couple realized that running an alarm company demanded 100% commitment. Vanessa took to answering phones and balancing books, and Ken is ever thankful he can depend on Vanessa's quick mind as account manager to oversee all billing and accounting issues. 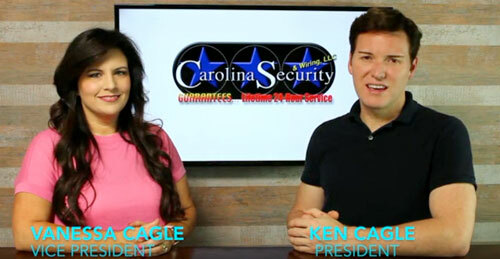 A year after opening his doors, Ken recruited Pete Konduros from Greenville SC as a Carolina Partner. 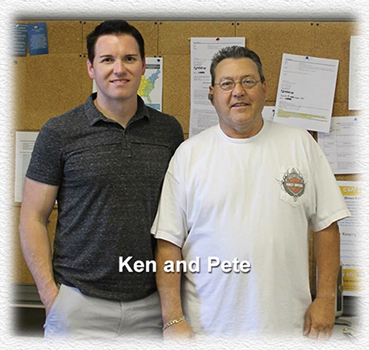 Pete was both installation and service manager at Southeastern Alarm Systems, the same man who once trained Ken as a rookie installer. The third partner to join Carolina was Dan Castell from Columbia SC. Dan too got his training in customer service and quality alarm craftsmanship with Southeastern Alarm Systems. He trained in sales under Ken in Greensboro, North Carolina before transferring to Greenville, South Carolina, where he proved a top salesperson. He soon learned the importance of knowing installations "from the inside", and began learning that side of the business. When Carolina opened in Greenville, he worked with Pete to grow that location. He has either sold, serviced, or installed well over 2,000 systems. With nearly 30 years combined experience; with the highest commitment to fast response, with individual attention from start to finish, Carolina is fast becoming the #1 customer service alarm company. giving customers more than they pay for.